They called Cleveland the "Mistake By the Lake", but when it comes to metal, it's a different story. 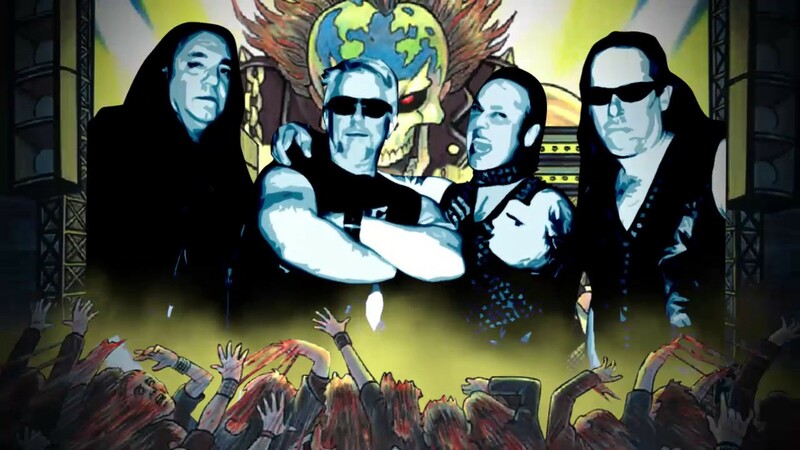 No Cleveland band has a more storied history than DESTRUCTOR and this week I get to talk to the band's voice, the maniacal DAVE OVERKILL! We find out why the band's future has never been brighter despite major disasters in the past including the untimely passing of a key member. We also get the dirt on the new Destructor album "Decibel Casualties", which might just the best thing they've ever done. Slap on your armor and prepare to go into battle HERE! Now some important news. Wormwood Chronicles has been going in one form or another for 19 years now. I've had some major changes in my life situation recently and it is becoming very difficult to keep the zine going at the same level of quality I expect. I am thinking about possible putting an end to the zine. Making it to 20 years would be nice but the choice may not be mine. It would be nice if I didn't have to do 75% of everything on my own. I need to think about this pretty hard. Even if I put a stop to WC, there's enough material to keep things going for a while. I will get back to you on this. VOMIT REMNANTS "Hyper Groove Brutality"
NIGHT RANGER "Don't Let Up"